Click here to view MyOntario photos on Flickr. 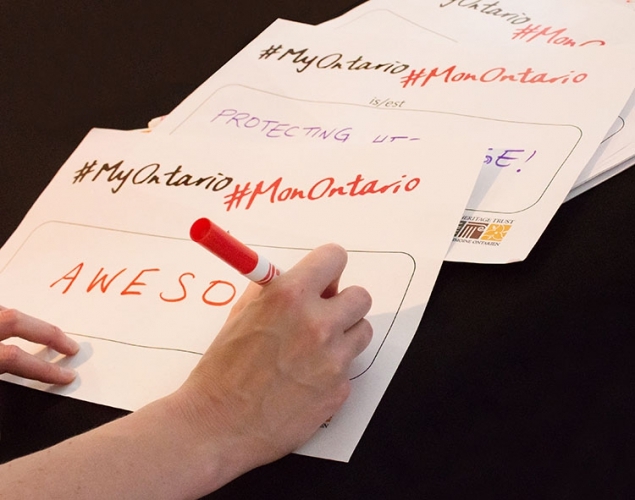 Did you submit a story through the MyOntario roadshow or kiosk? Visit our Flickr collection and click on the album for the event or site where you had your photo taken. Click on your photo, then, click the download icon (downward-pointing arrow) at the bottom right of the image. Select the photo size. The photo may begin downloading automatically; otherwise, click “Save” when prompted by the dialog box.